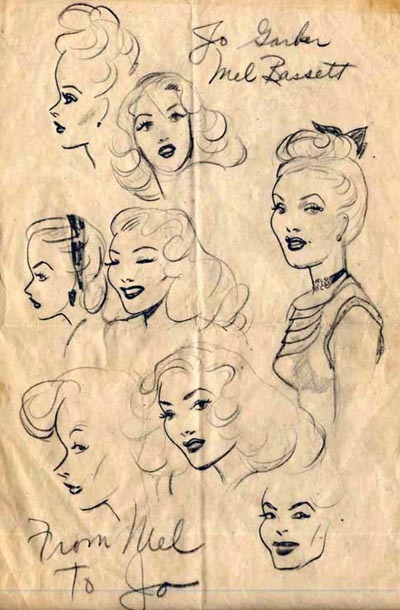 Today's Inspiration: Merle Bassett: "Fashion illustration came so easily for me..."
Merle Bassett: "Fashion illustration came so easily for me..."
"My name is Merle Bassett, I'm now 83 and living in Cambria, California. Since retiring here 22 years ago, I have satisfied my ambition to paint and am now passionate about digital photography." 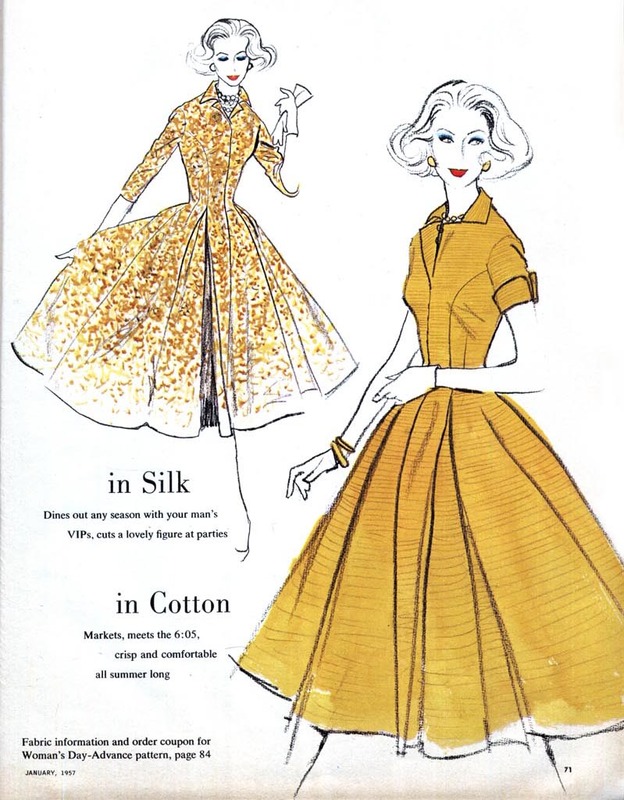 "My days as a fashion illustrator are long gone, but I'm most grateful for being part of the 1950s illustration scene... a kinder, gentler scene!" "I began drawing (scribbling?) at age 3. 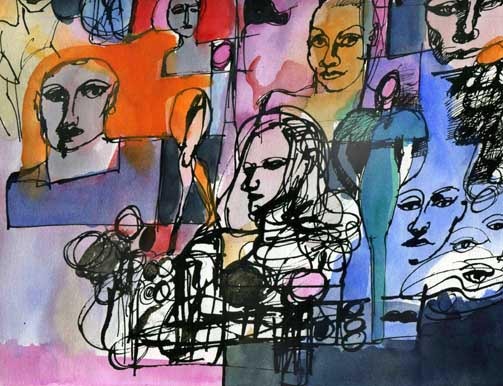 I was very fortunate to be encouraged to draw and my interest in art was supported by family and teachers. 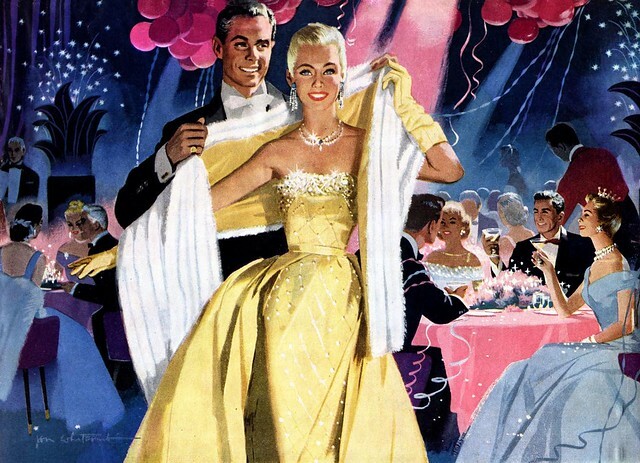 My favorite childhood "visual inspirations" were George Petty's pinup art and later, Jon Whitcomb's glamorous illustrations." 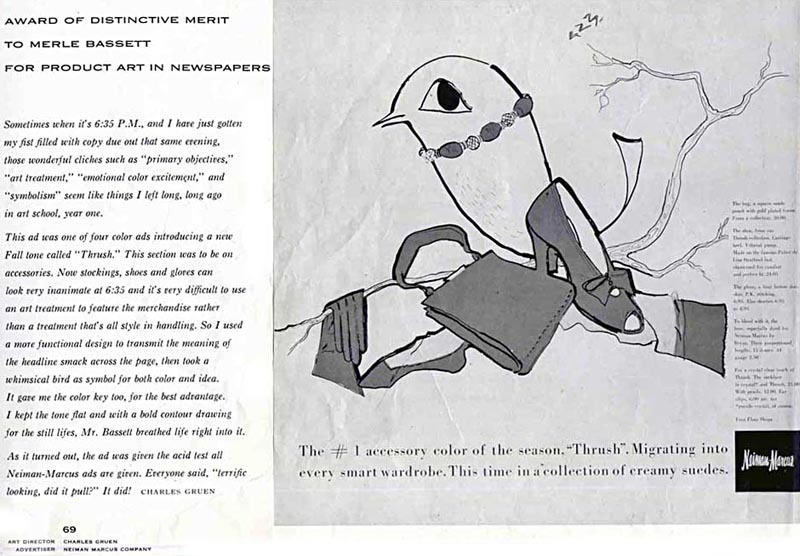 "Also, as a child I remember Cosmopolitan being in the house and seeing the great illustrators work in the '30s and '40s. I seem to recollect a Bradshaw Crandall (?) and John LaGatta being among them. 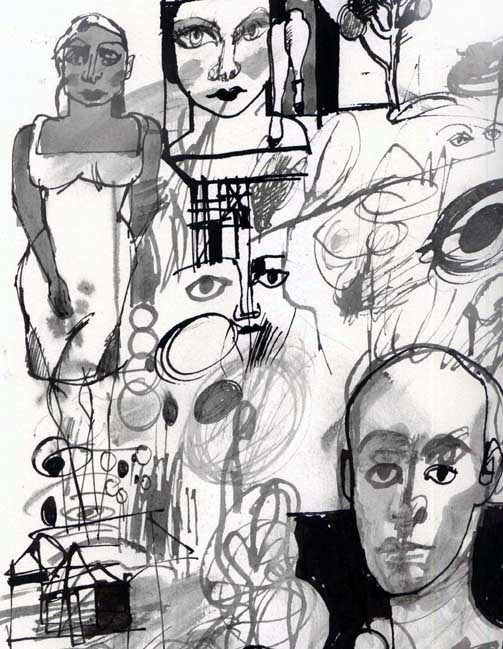 As a teenager I went to a Saturday morning drawing class at the Cleveland Museum of Art. I looked forward to that class all week! In high school my abilities as an artist were recognized—I did football posters, painted and did cartoons for the yearbook." 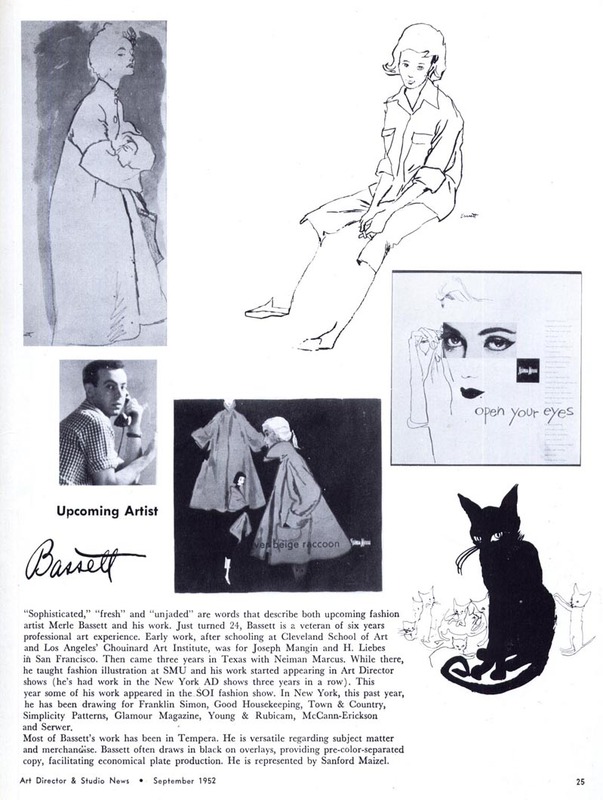 "Later, at Chouinard Art Institute in LA, I began to formulate my ambition to be a fashion illustrator. 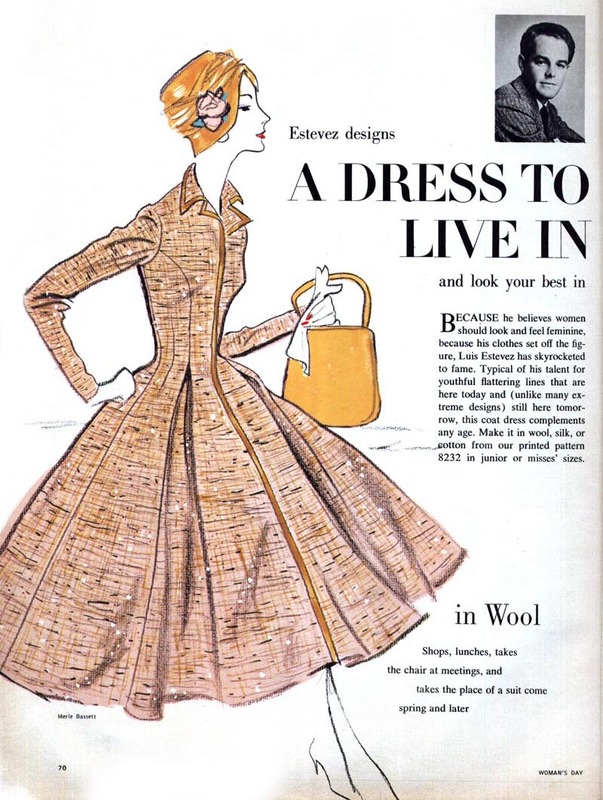 I was particularly inspired by a NY fashion illustrator named Tod Draz who did beautiful full page newspaper ads for Franklin Simon, a now defunct department store. 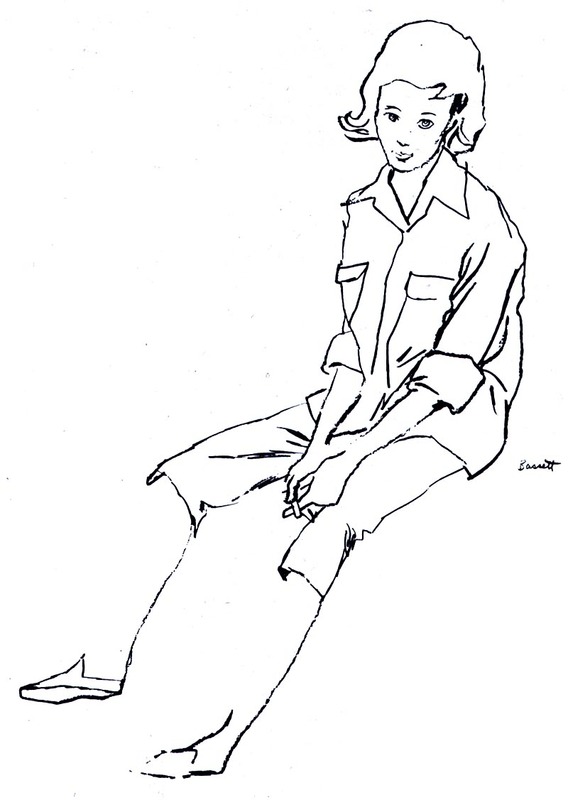 He was a great draftsman and I related to that as I was honing my skills as a draftsman... "
"I felt good drawing was the foundation for all excellent illustrations. " 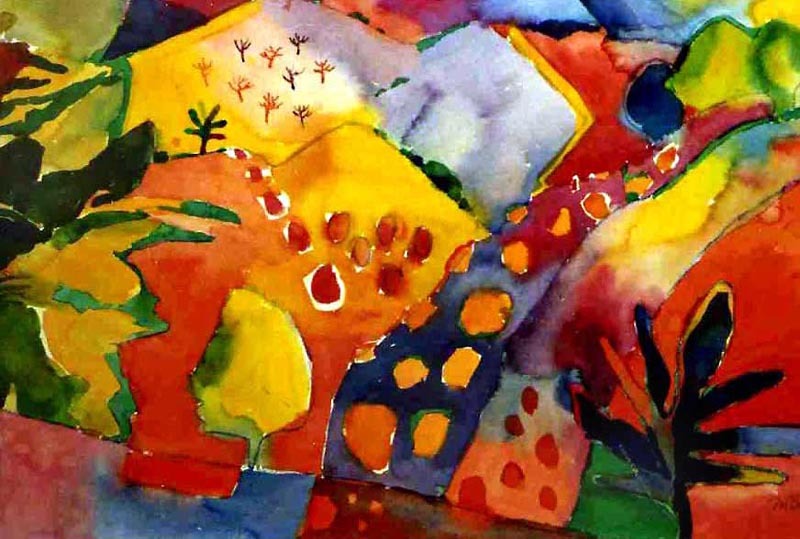 Even most of the Abstract Impressionists (except for Jackson Pollock, who couldn't draw) were excellent draftsmen before they did abstract work. I admired the story illustrators work but I didn't feel qualified to compete in that market. I was very comfortable and adept at doing fashion drawings... even at Chouinard during life drawing I'd get bored and draw fashion figures next to my drawing of the model. 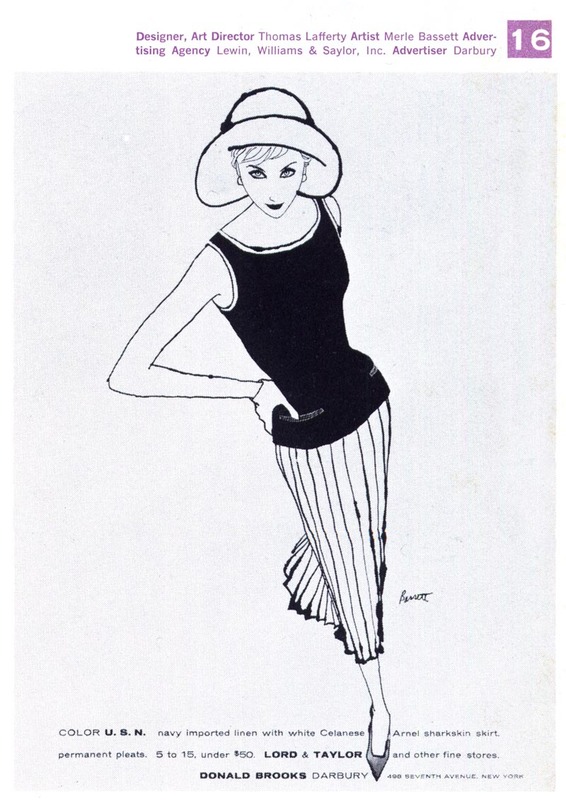 Once, the fashion illustration teacher, while looking at my drawing, said "well, I can see I needn't try to teach YOU anything!." "I only completed a year of art school and needed to find work quickly at the end of that year. I knew somebody who had connections at Joseph Magnin and I got a job interview there. They hired me, so at 21 & just out of art school I was able to start making a living. As a magazine story illustrator, that would not have happened and I chose not to struggle trying to succeed as a fine artist. I needed to make money NOW." "Fashion illustration came so easily for me... I almost intuitively knew what to do, whereas I felt intimidated by story illustration or fine art work. Back then there was little competition in fashion illustration and there was a need for young people like me who knew how to draw. I never had to struggle the way many talented people do today. It just came so easily and I went with the flow." 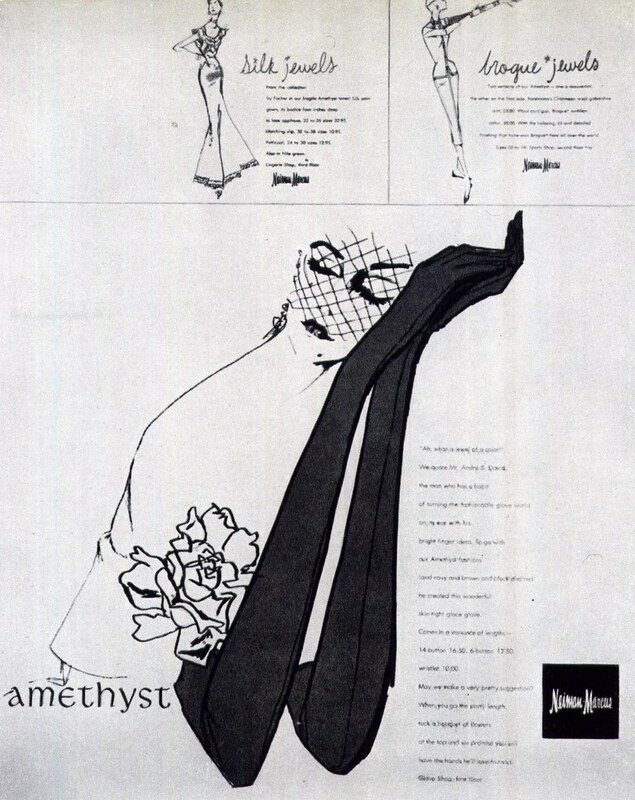 "I worked with Betty Brader, who did poster type fashion illustrations at my first job as "junior artist" (I was 21) in SF at Joseph Magnin (also a defunct department store) in 1947." 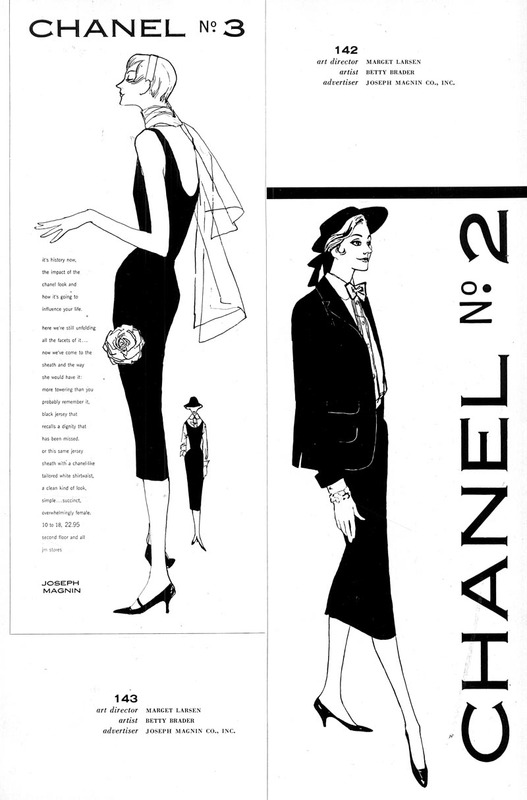 "I learned fashion illustration on the job and was being inspired by Eric and Bouché in the fashion magazines. They were fine artists and not really commercial artists so their work was on a higher level than most fashion art being done at the time." 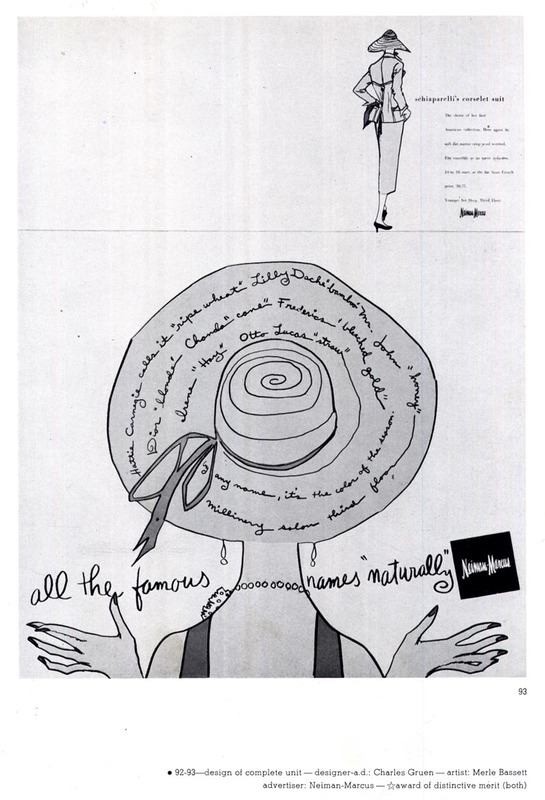 "I left SF and Joseph Magnin because Neiman Marcus in Dallas, Texas had asked me to come work there. 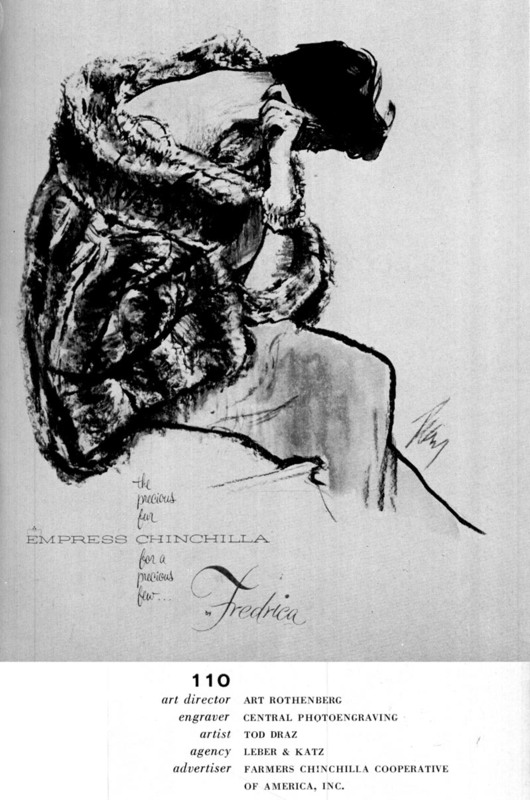 I worked with the art director, Charles Gruen and we were represented in several Art Directors Annuals." "It was a great time in my life because I was drawing every day AND getting paid for it. It was all new and fresh. Each day was an adventure — I never knew what I'd be illustrating when I came to work. We were allowed to experiment and do things that had not been done before in newspaper advertising. " "Neiman Marcus was getting a lot of attention and so were the artists involved. 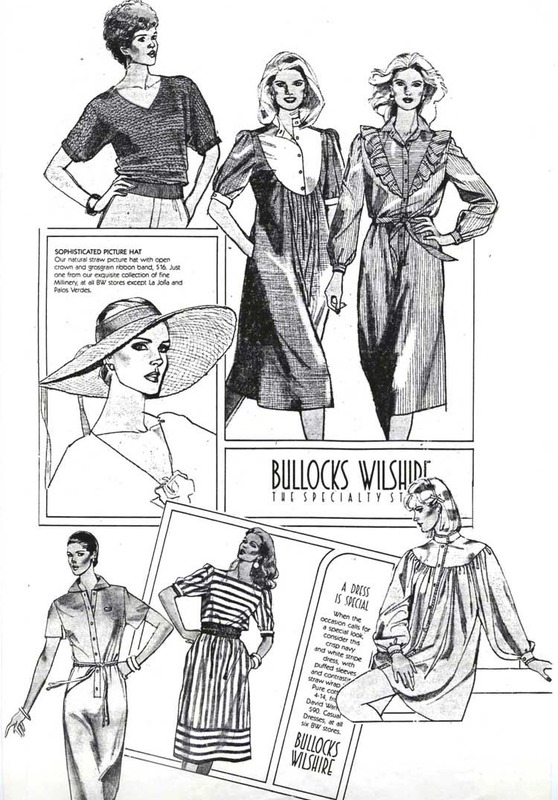 Up until then, retail store illustrators were really not well respected and never represented in the AD annuals." "We changed all that and were very proud of our accomplishments." 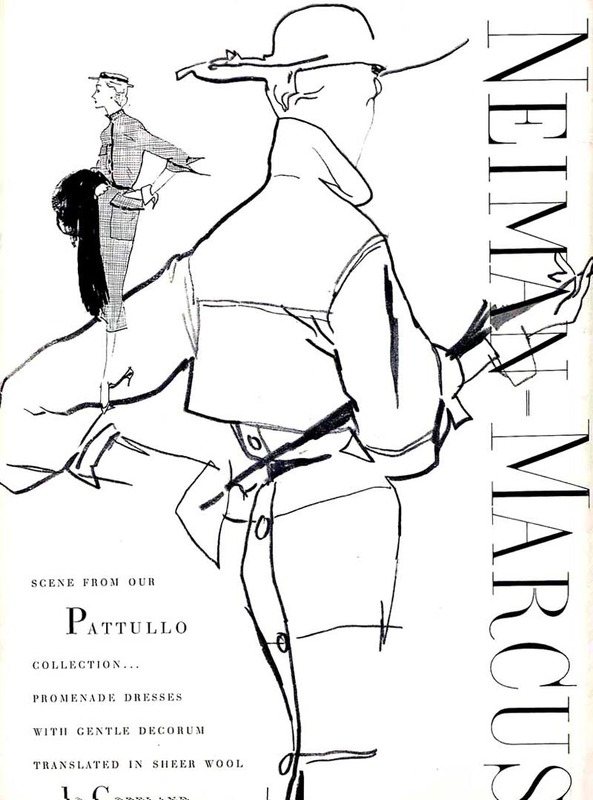 "Not many illustrators wanted to relocate back then, but I had nothing keeping me in SF and the prestigious Neiman Marcus was a step up in my career." "I spent 3 happy years as a staff artist in that store before I decided to seek my fortune in the Big Apple! I had nothing and nobody waiting for me in NY... I was simply fearless and ambitious at 24! 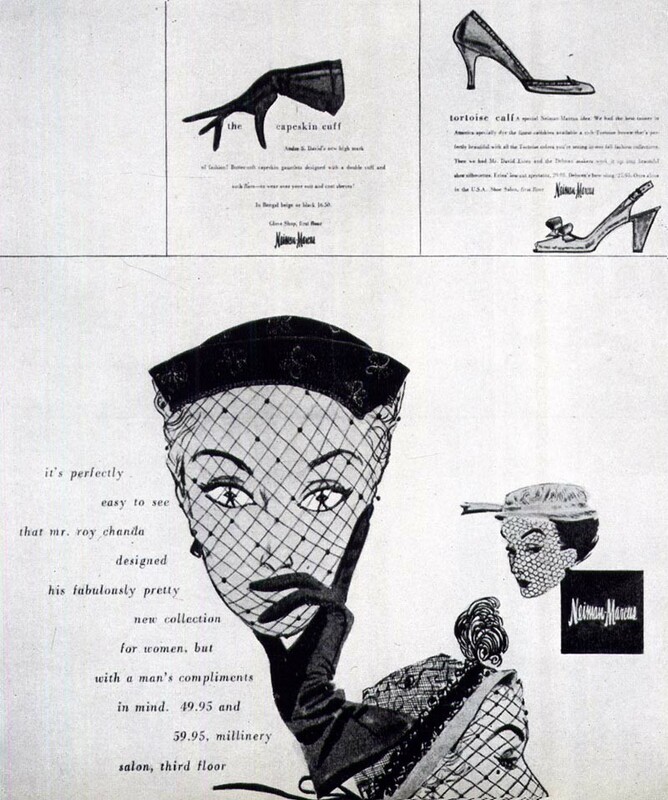 However, I had done some very good work at N-M and advertising people had seen it. I got work virtually as soon as I set up a little studio." "I have a lot of memories of New York in the 50s... some good and some not so good. 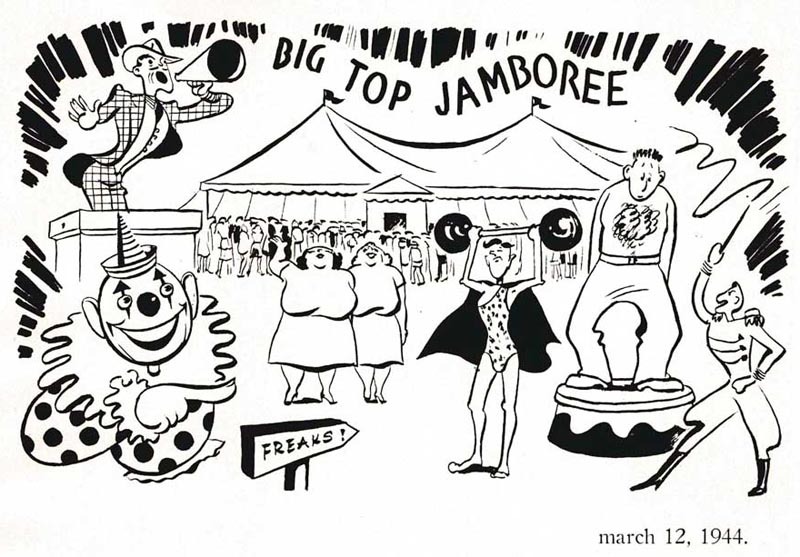 It was a very exciting time for me... my style of illustration was in demand and I had no trouble finding freelance work soon after I arrived in that great city in 1951. 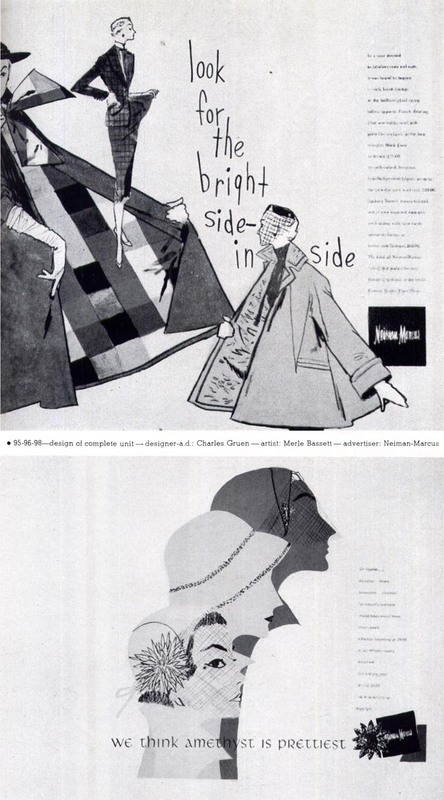 Art directors had seen my Neiman Marcus drawings and I started getting newspaper and magazine assignments very quickly. Success came early - maybe too early. But I have no regrets, as I was quite fortunate to be in the right place at the right time." "My first days in NY were very exciting... I was thrilled at being in that wonderful city. The Plaza Hotel with the elegant New Yorkers coming and going — I went to Broadway plays, checked out the store windows on Fifth Avenue, galleries, the Metropolitan Museum and started responding to the NY energy. It was 1951 and everything was happening in NY -- I was so happy -- feeling that I was a part of that." I was fortunate to have Jack Potter as a friend during those years — on the nights that he was not available to teach his class at the School of Visual Arts, he asked me to sit in for him. I had great respect for him as an artist and certainly as a teacher after he retired from illustration. 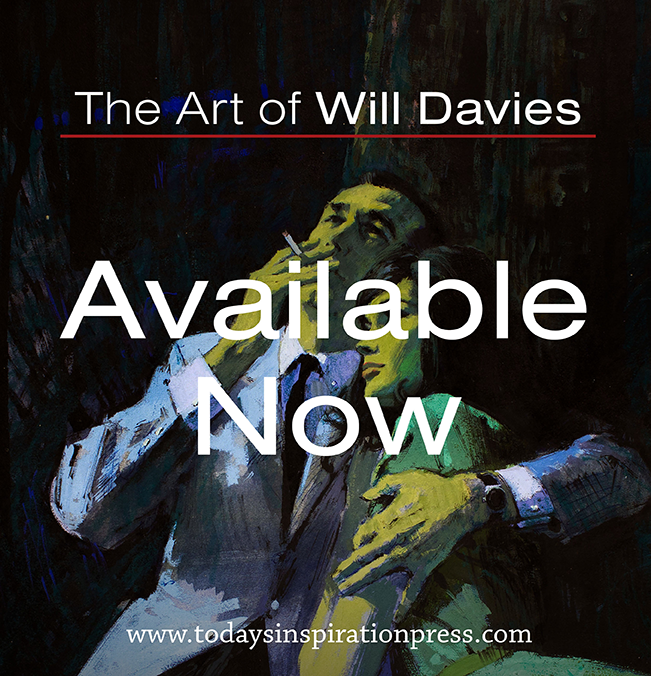 He inspired and motivated countless artists/professionals - and wannabe professionals! "I knew my limitations as to what kinds of assignments I was qualified to accept. 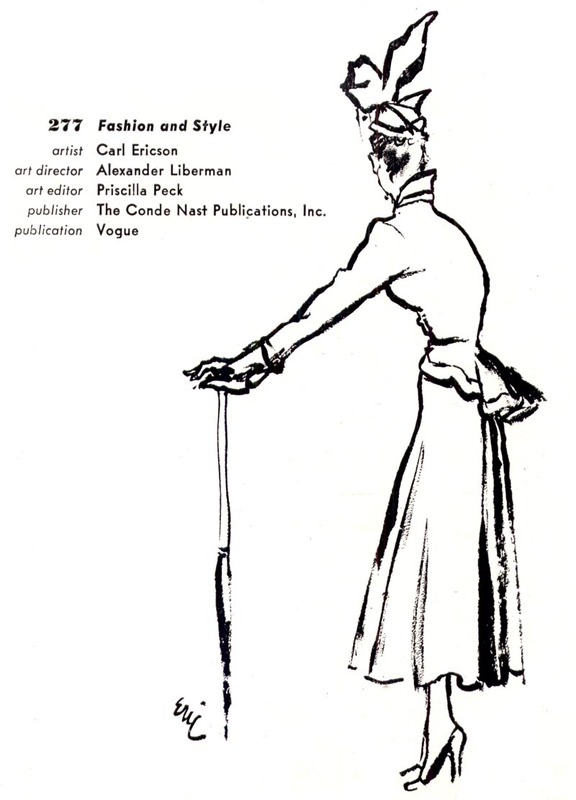 As a result, I made a name for myself as a competent fashion illustrator and made a lot of money over the years. I didn't really fully express myself as an artist until retirement. Then and only then did I draw and paint to please only myself." "In order to make money, I had to please art directors and clients... I did not please myself and grow as an artist during my career." 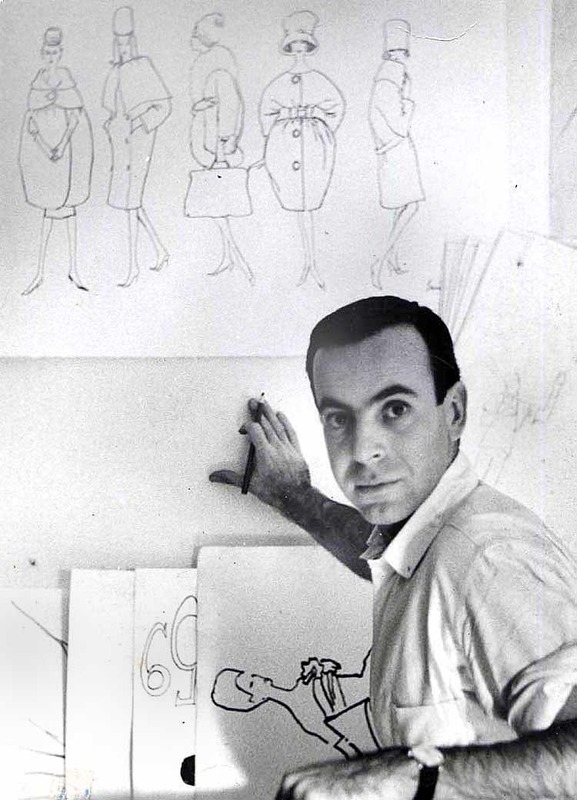 "I did not struggle the way so many of today's young illustrators do. I was kept busy freelancing for nearly 20 years. 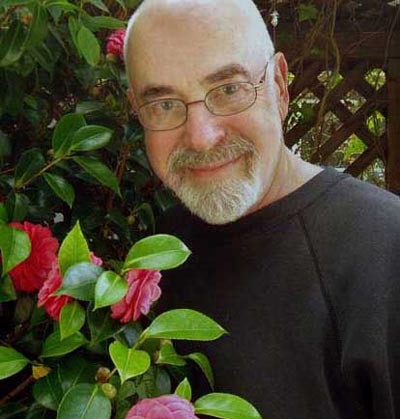 When my days as an illustrator were over, I moved to LA and worked as a layout artist until retirement in 1988." "I was conflicted about commercial art versus fine art... I really admired the great painters. So I pursued a career as a fashion illustrator, which paid the bills and put fine art on the back burner until retirement. I guess Bob Peak, Jack Potter and the rest of the great illustrators of that era had a different agenda than mine. I had and still have, great respect for their work." 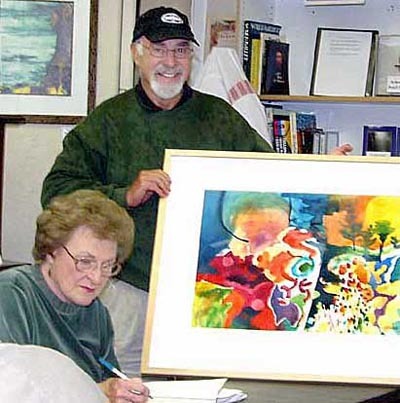 "After moving to Cambria, I had a great time doing watercolors and enjoyed being a "Fine Artist" and not having to please an art director or a Sales Promotion Director!" "Thanks, Leif, for the opportunity to go back in time to the "glory days"! The world was such a very different place back then — now I keep busy with photography." Many thanks to Merle Bassett for sharing the story of his career with us - and to Daniel Zalkus for putting us in touch with each other! * You can see some of Merle's photography at this site. Did Merle's story shed some light on the questions you posed the other day? Or were you thinking more about artists from today? Very cool to see all this work in one place. I had seen a few of his illustrations but not all of them. The drawing he did for Darbury stands out to me. Leif,it's a pleasure to hear the artist describe his experiences.Nice drawing throughout!Judging from his high school drawings and the black cat drawing,he must have had an interest in cartooning as well.I was wondering if he was drawing a girl named Jo on the page of cartoon heads,or is it just a friend's name? Loved the interview. Very interesting to read how careers got made and the display of work is very inspiring, the commercial and non commercial alike. Thanks for this! Will check out some more on your blog! Kevin and Eva, thanks for your kind words -- I'm delighted that you enjoyed this presentation of Merle's work. Not really - if anything, it sort of reinforces my confusion (that might not be exactly the right word) about what motivates someone to specialize in fashion illustration. I get that it may be perfect for an artist of a certain personality, as with any artist who settles into a specialty - but to my mind, fashion illustration is a very limiting specialty. I don't think your earlier comparison to a comic artist or storybook artist is quite accurate. Comic artists and storybook artists may work within a limited style - but they have the opportunity to explore a huge range of subject matter, conceptual work, compositional, colour and narrative variation. 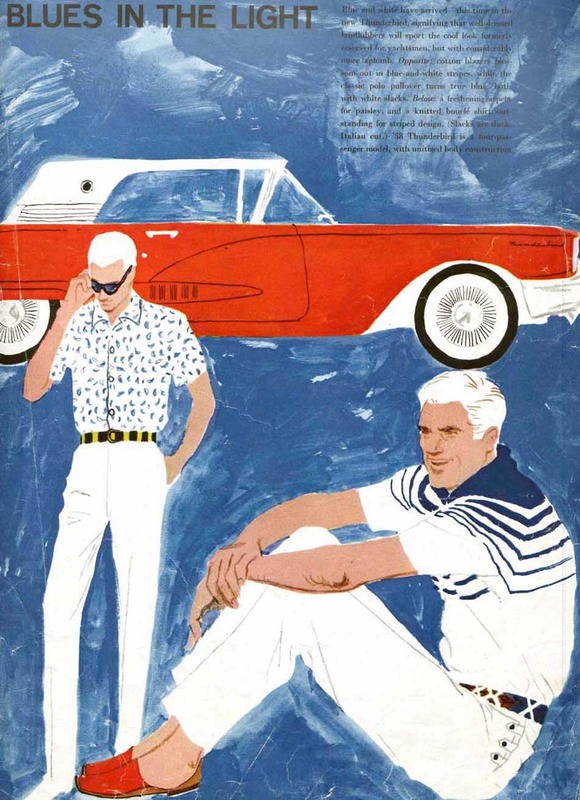 In my mind, I would equate the level of specialization I see in fashion illustration to, say, an automotive artist - the one who paints only the cars, not the people and surrounding environments. 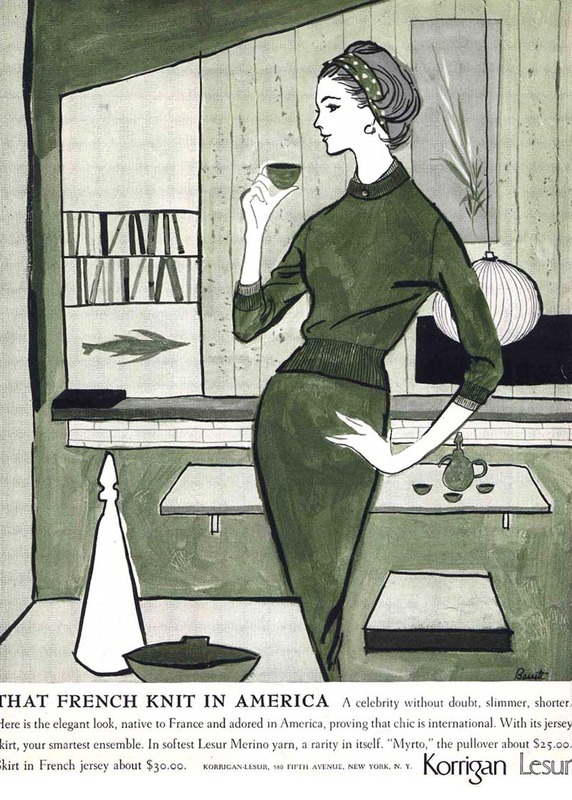 I think Tom Watson expressed a similar feeling to mine in his description of the time he was offered a position as a fashion illustrator and turned it down. Wonderful blog and thanks for sharing this blog. 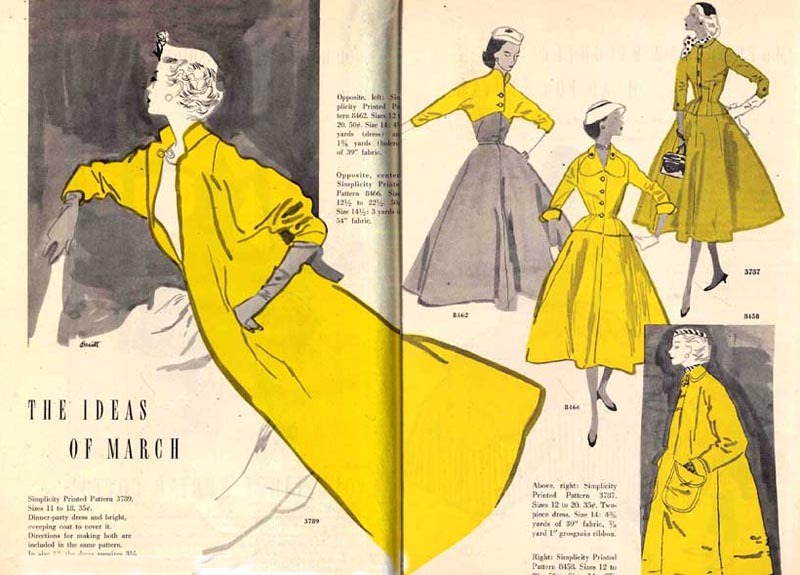 I think it would be a wasted effort to try to explain to those who would make a connection of fashion illustration and automotve illustration, as it would be to explain "style". They simply would not get it. Great article and FANTASTIC art work. I LOVE fashion illustration and wish it was as easy to get freelance work as a fashion illustrator today.